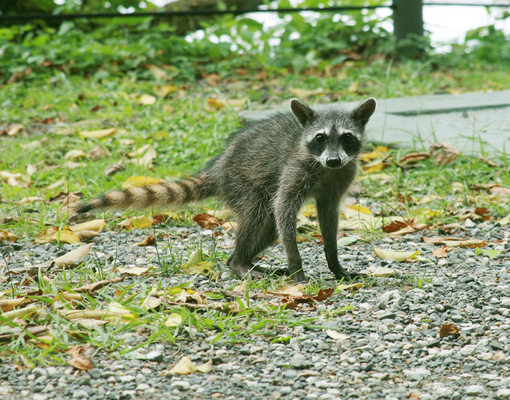 Rabies remains a threat in central Ohio. Rabies is viral disease that affects the central nervous system in mammals. Rabies is usually transferred through a bite inflicted by an infected animal. After the first sign of infection, death can occur in a few days. The good news is that almost 90% of the positive cases are wild animals, such as raccoons, foxes, skunks, and bats. Human deaths due to rabies has averaged 1–2 per year in this century. You can help prevent rabies in domestic animals by vaccinating your pet and contacting the right people about strays in your area. This will also help prevent human rabies. If you see a wild animal acting unusual, or simply being out and not running away, it is highly likely it is hurt or sick. Do not attempt to comfort it or tend to it. Call in animal control, a sheriff or contact authorities in your area. Remember also to educate your children about unknown animals(this includes unknown dogs & cats); though cute, they are not to be cuddled or petted. Stay Away. This will help reduce their chances of getting bit. This is a brief discussion on rabies. If you would like a more in-depth look at statistics and the disease, please see the Center for Disease Control website at www.cdc.gov/ncidod/dvrd/rabies.